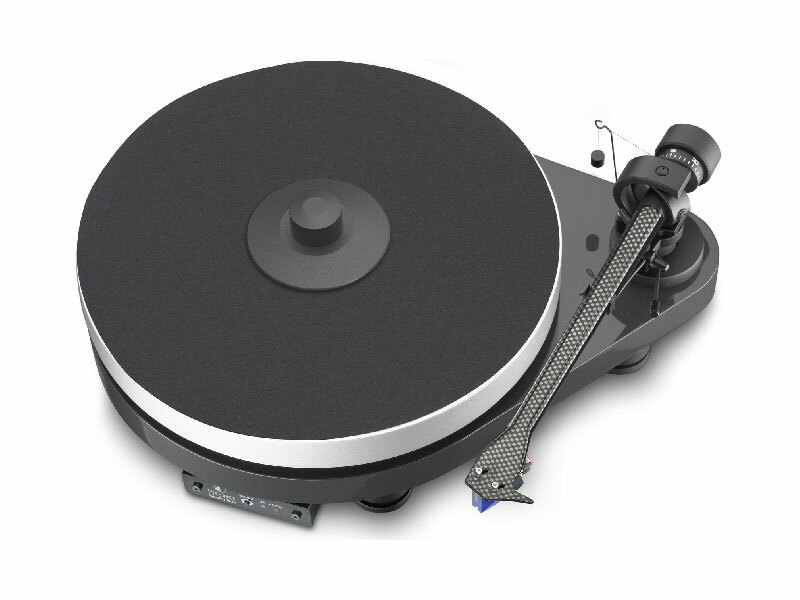 Manual turntable with carbon tone-arm, Ortofon 2M Blue MM-cartridge with standard felt mate and cork mate for your choice. The medium density fibre plinth stands on three height-adjustable rubber-damped aluminium cones. he motor is decoupled from the plinth to reduce vibration transmission. 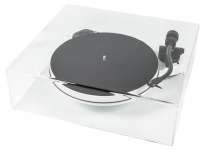 The resonance-optimised platter is a sandwich construction utilising the hub, an medium density fibre platter, a cork mat (a standard felt mat is supplied also) and a screw-down record clamp. The platter's low-tolerance chrome-plated stainless-steel axle runs on a bearing plate in a sintered bronze bearing housing. Central metal block optimises centre of gravity and damps main bearing. Connection to the phono input of the amplifier can be made with connecting cables of your taste through the gold plated phono sockets and earth screw. A standard cable is provide. 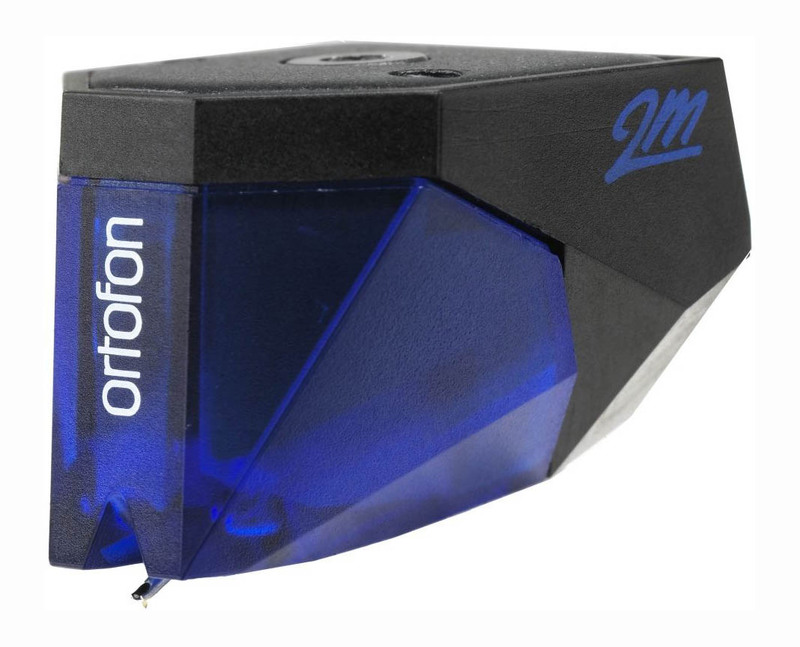 The turntable is supplied with Ortofon 2M Blue MM-cartridge fitted. The counterweight supplied is suitable for cartridges weighing between 6 - 10g. Alternative counterweights for cartridges weighing between 11 - 15g, 8 - 11g or 5 - 8g are available as an accessory part.